We helped Caton Catering with their marketing makeover, including helping them with a redesign of their marketing materials and logo. The first step we took in the marketing makeover was to learn about the company, what they offer, and who they are. We then used that information to create a logo brief that would be used for unique logo creation. Our redesign brief offered such elements as fresh ideas, unique concepts, and suggestions that would help convey their brand to the masses. A successful tagline is essential to helping people identify what your business and brand are all about. Working with Caton Catering, we were able to create a tagline during the marketing makeover process that helped express their brand. Our tagline brief offered several short, unique, and creative suggestions that were expressive and would play an important role in their marketing and branding. 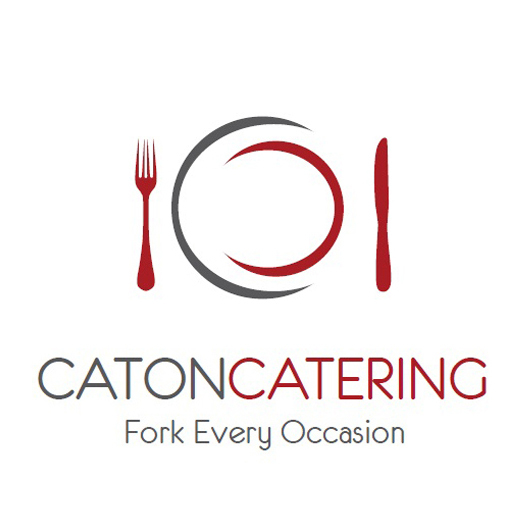 “Fork Every Occasion,” along with the fresh and expressive logo, created the perfect branding solution for Caton Catering. One of our missions in working with Caton Catering, and all other businesses, is to provide a variety of options. We presented them with options that were created only after we got to know their company, goals, and target market. We presented them with our ideas and suggestions along the way, giving them well thought-out, creative, and expressive solutions for their marketing makeover, yet giving them the ability to have crucial input on the direction their strategy and branding took on. Working with Caton Catering, we provided them with logo redesign and layout, a photo session, professional copywriting and leaflet design, and we did a redesign of the graphics on their website. The final product of the marketing makeover is a company that looks more professional, fresh, unique, more visible, and is in a position to tap into their target market and grow their business.